This is it! 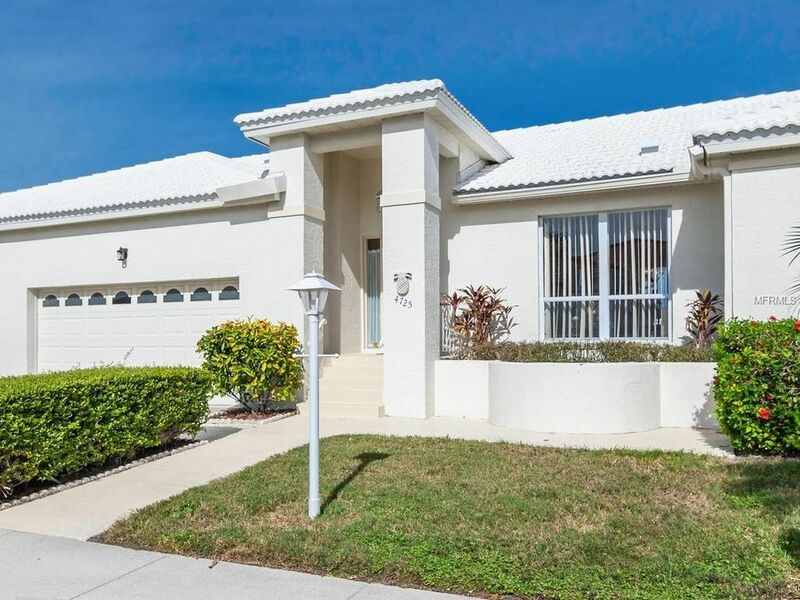 Welcome home to this lovely 3 bedroom, 2 bath, 2 car garage villa in sought-after Palm Court. Join the neighborhood where it's been the perfect buy for IMG families and/or golf lovers. Well maintained and move in ready. Why pay for another's remodel when this terrific floor plan is just waiting for your signature touches. Newer carpet, Newer roof (with no further assessments) New high-end A/C system are just a few of the enhancements to this tasteful home. A roomy fenced backyard gives privacy and plenty of space for you and your pet to play. Within minutes to the pristine beach of Anna Maria Island, Fine Dining and Shopping, Sarasota/Bradenton Airport, and IMG Golf and Tennis right next door! Priced to sell quickly, so schedule your showing and make your offer now! Directions: 34th St. W to El Conquistador Pkwy to Palm Court Entrance. Turn right then immediate left and follow around to 61st Avenue Drive West. Home on your left.